Buried treasure in Iowa is hidden in many areas. Stories about outlaw caches, stolen Army payrolls, Indian hoards, and ghost town treasures have been written, and talked about for years. Below are a few of those stories. Before you head out to search. Be aware of the laws that protect State and Federal lands from removing artifacts. I have provided a few links below explaining those laws. 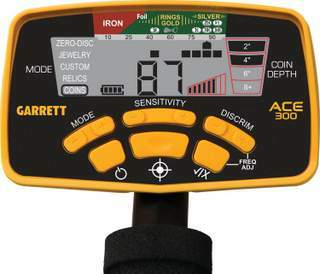 If you plan on searching for lost treasure you should have a metal detector. Black Hawk, the Indian Chief, supposedly buried $50,000 in gold coins in the hills near Denmark. An Army paymaster supposedly buried approximately $7,000 in gold coins during an Indian attack. The treasure has been reported to be near Fort Atkinson, which is located near Decorah. The paymaster was killed before he could relate to others where he buried the gold. Another story about a hidden payroll states that somewhere along Miner’s Creek near Guttenburg, is another, even larger Army payroll. Kelly‘s Bluffhigh above Second and Bludd Streets in Dubuque, holds a fortune in gold and silver coins. The treasure was hidden by Tom Kelly, a lead miner during the early 1800’s. Apparently, this wealthy man buried more than one treasure on the bluff. Over the years, half a dozen caches of gold coins have been found. It has been estimated there is still $100,000 still hidden somewhere on the bluff. Hauntown is a ghost town located on the west side of the Mississippi River, approximately 5 miles south of Sabula. Hauntown was known for making whiskey during the nineteenth century. Rumors of buried treasures in the old town has circulated throughout the years. The Elk River Ruins was used as a hideout for outlaws during the mid 1800’s. They are located near Almost on the edge of that town. 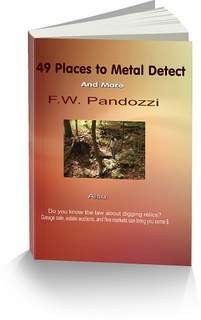 You need to understand that if you are searching for buried treasure in Iowa on State Lands there are laws you need to follow regarding the digging of any relic. The Antiquities Act of 1906, at the link above, has to do with State and Federal lands. When you are digging on private property the items you find belong to the property owner. It is important that you always have permission from any property owner before you search and dig on their property. Buried treasure in Iowa may be located in ghost towns.